It might be hard to believe, but a breakfast conversation could be the most consequential event in your life! Looking at the breakfast conversation between Jesus and Peter in John 21, we see how Peter’s life changed forever as he was challenged to step up and play his part in God’s big plan. Perfect for encouraging men to live all out for Christ. It is also ideal to give away at men's breakfasts. 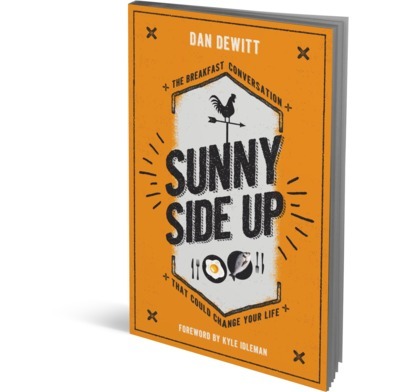 Dan DeWitt is the author of "Life in the Wild" and "The Friend Who Forgives"
There aren’t many books aimed at guys who are on the fringe of church and aren’t really readers, but Dan DeWitt has produced a great one! This book is straightforward, funny and pulls no punches as it walks us through Jesus’ breakfast with his friend Peter. Read it yourself and then read it with a mate – it will do both of you real good!